The usual mornings. The usual music. The usual self. For seven girls, a peaceful life was all of a sudden destroyed. All at the hands of zombies, dead things that somehow remained moving. Now they step into a new world, whether they liked it or not. A "zombieworld" that represented both the best and the worst. The seven girls had only one wish: "We want to live." This is the miraculous saga that these girls bring about. This may be one I wait until the end to watch. The plot isn't exactly fleshed out well in the synopsis, but it seems like it could just be Danganronpa with Zombies and Idol girls...if that is the case I am going to pass. I have to admit, this was a rather unusual show even with the music. There's a rather eerie mood with the setting and it's about as straightforward as it got. Zombies coming after one of the main girls (Sakura) right from the start as she feels helplessly trapped. She managed to escape and I guess the episode captured the eerie mood of what I was expecting at the moment. They even got a zombie dog in this show LOL and it's quite unusual. I was also not expecting this series to include stuff about idols. The idol stuff was the most surprising part for me. Zombies? What zombies? Well, this didn't have any horror feeling at the start, but everything quickly changed when Sakura was struck by a pickup truck. Ten years later, she is back as a zombie, and she is being made into an idol. But unlike the other zombies, Sakura is in control of herself for some reason, and the concerts ends up being totally wear as the zombies are doing nothing but headbanging, while Sakura is screeching. I don't know what to make of this show as it was totally weird, and I'm not exactly sure what that producer was trying to accomplish by making these zombies into idols. here i was sitting thinking that idol anime was all the same, but then this happened. idk how this will turn out, but it has my interest. When you think of a zombie anime you would expect something like zombie land or School Live with cute girls in a zombie infested world. However in this anime the theme is zombie idols wtf really... in the first episode we are introduced to Sakura who wants to be a idol but that is one dream that won't becoming true because of truck-san. After getting run over by truck-san Sakura wakes up in a house and is chased by zombies. Scared and confuse she runs for her life only to find out that she herself is a zombie. Things are explained by Koutarou who explains that 10 years have gone by since she died and that she's now a zombie. Koutarou's big plan is to turn Sakura and the rest of the zombies into idols so they can save Saga? Im not sure how turning them into idols will do that? Well at least his dedicated because he managed to get them a gig. When it comes to their first show no one was interested in them but once the music begins and girls are headlbanging everyone just goes along with it. 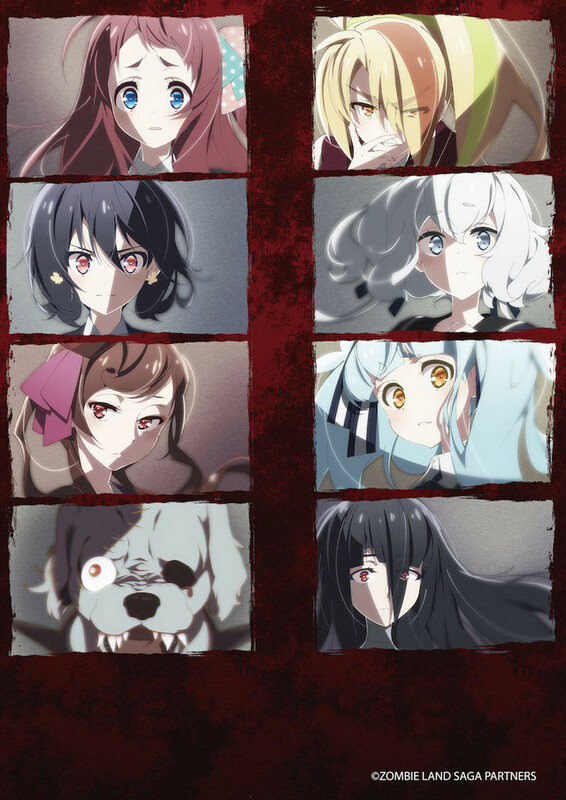 The first show might have been a success if you wanna call it that, but now that the rest of the zombie girls have awaken. Lets see if the girls are will go along with Koutarou's plan to make them idol and get some answers on how exactly they can save Saga? Because at the moment it doesn't make any sense. The only thing so far i disliked was Koutarou's voice. I never did like Miyano, Mamoru high pitch voice in Tada-kun and i sure as hell don't like it here. Other than that an ok start to a weird idol show. Just two quick thoughts on it the reverse Asobi Asobase on the OP & ED is perfect and Sakura is pretty much Chitose from Girlish Number in a Rias Grimory school outfit instead of her egg logoed sweater/blouse. I almost wasn't going to watch this... but the first episode was priceless. Not sure how they will continue to keep it fresh, but here's hoping. Don't know if they can keep it from getting old before the season is over, but the first episode was perfect (1st series of the new season to blow me away). Definitely getting an Excel Saga vibe from it, and I love the ED song. Oh wow this episode had everything. 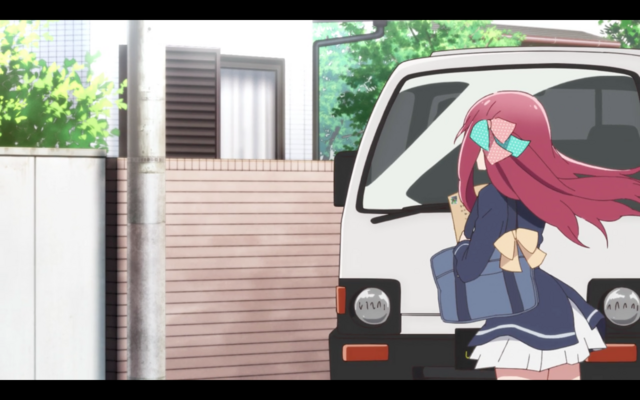 I wasn't expecting Truck-kun to make an appearance a minute into the episode. Zombie idols? What the heck is this? Definitely going to keep watching. Okay. I've got anime to watch every day of the week so far. Keep it up, Crunchyroll.